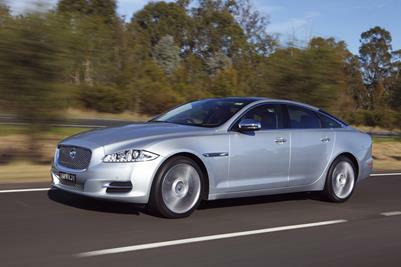 Jaguar Australia is please to announce the launch of the all-new Jaguar XJ into the Australian market. 9 July 2009 - Jaguar Cars yesterday officially unveiled the all-new XJ car at the Saatchi Gallery in Chelsea, London. An all-new Jaguar XJ will make its public debut this July – and today saw the preview and release of first information on this breathtaking new Jaguar. The Jaguar XJ has won the annual Design Award 'Autonis' in the luxury category of the German car magazine Auto Motor und Sport, ahead of German competitors BMW, Mercedes and Audi. The 2008 Model Year XJ has once again raised the standard for luxury cars offering customers a range of visual changes, technological advances and additional features on all models. A Thousand To One - What Are The Odds Of A Jaguar XJ TDVi Travelling 1000 Miles On A Single Tank Of Fuel? The American Automobile Association (AAA) announced its top cars for 2006 across 13 distinct categories, and AAA selected the Jaguar XJ8 LWB as its top pick in the $(US)50,000+ category. Jaguar introduces the Armoured XJ Long Wheelbase - its first ever armoured passenger vehicle. This luxury saloon car has capabilities far and beyond the needs of day-to-day transportation. Jaguar confirms an exclusive, limited production run of 265 XJ Super V8 LWB Limited Edition saloons. Jaguar confirms an exclusive, limited production run of 265 Super V8 Portfolio saloons.